Tomorrow will be my 2nd attempt at the LBC: London to Cambridge ride. This time however things are much different, I learned alot from that ride and will be making sure I finish the ride. Because Bumble B is out of commission for the foreseeable future I'm have another Brompton on loan from my good buddy Mick B. He kindly offered to let me borrow one of his Bromptons (Bluey M6L) till I get Bumble B back on the road, he made me promise only one thing. No yellow stripes, that maybe one thing in the universe that I can't promise >:P I won't be able to join the ride from the very start as work etc has kept me from picking up Bluey from Mick B but he will be at a meeting point just down the road from where I live so will joining from there. 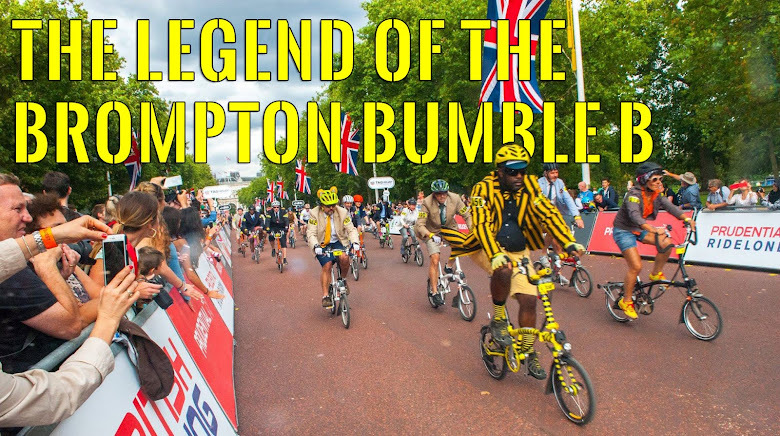 Earlier today I went to Londonfields Cycles and discussed the crack on Bumble B's rear triangle. The main Brompton mechanic said it shouldn't be a problem when Brompton give the final ok under warranty. While there I took a ride on a S2L Ti & a M6L as I missed riding a Brompton THAT badly. It's the first time I've ridden a S handle bar Brompton and I have to say I REALLY don't like the riding position as to me there is alot more weight on my wrists. Riding the M6L was alot better but I have to say the gearing is alot different than I expected. The gearings seem to be ALOT wider than the 3 gears on Bumble B so it may take me awhile to get used to on this ride. Looking forward to this ride even though I feel because I haven't ridden for a week that I'm not prepared for it. Good luck for tomorrow's ride. I didn't think I would get on with a 6 speed, i.e. two gear shifters but took to it straight away. All you have to remember is that for easy gears, push down and flick up for harder gears but use the left hand one for small half gear adjustments up or down. Before I bought my bike I really did think I would need to change the gearing to a single handlebar twist grip changer but my anxiety was groundless. I totally agree with you regarding the S type handlebars. Not that I have tried them but previous bikes I have had, most have had handlebars too low and like you, found too much weight on the wrists. 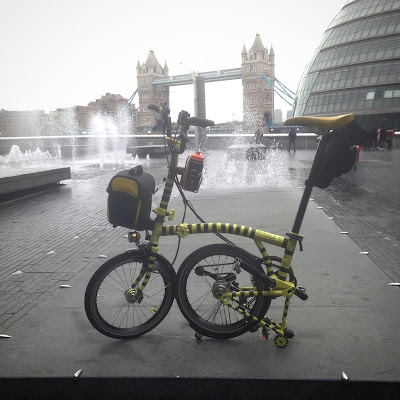 I haven't suffered in any way in any part of my body with the M type Brompton. I absolutely love it. I'm looking forward to reading about your ride tomorrow and how you got on with the gears.